I can't believe I have been baking bread at least weekly, ('cept hols!) for nearly a year now! What an amazing journey it has been. I started out pummelling yeasted doughs, I had disaster and success, followed by more disaster, then a few more successes - I now have an amazing method that is unique to ME and doesn't involve hardly any kneading and no commercial yeast at all. I have also installed a proper bread oven, albeit a relatively small one. My garage has grand designs bestowed on it, as I scope out the design of my new bakery in my head. I have a lovely bread round with lovely customers. 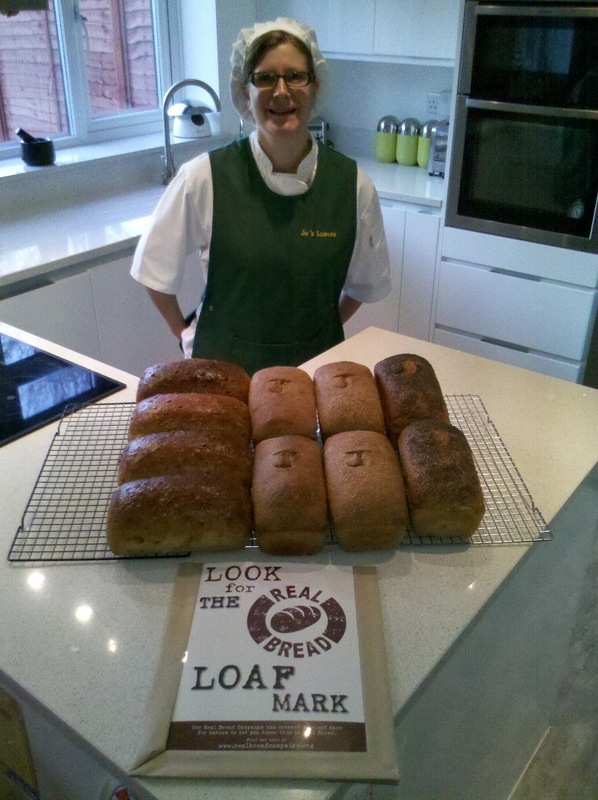 I supply a Cafe in Stopsley Baptist Church, who uses my bread in several of his daily specials. It's fair to say, I am a little bit proud of myself but truth be told and also still very anxious as to how the next year is going to pan out. So HOPEFULLY, my event this week will be an indication as to how things might work out for me. I am hosting a tasting of all the range of loaves and focaccias that I bake. With the help of one of lovely friends, I have now managed to deliver well over 300 invitations in the neighbourhood, for this event which will take place at my house this coming Saturday, 28th from 9am. I hoping to have lots of newcomers as well as friendly faces to support me. I also must thank my printer, from Diverse Print and Design in Hemel Hempstead, not only for the fantastic design of the invitations, but for also providing them in time and at a cracking rate. I would be really pleased if I had 30 new people coming to try my bread, but maybe even this is ambitious? I will wrap everything up promptly at 11.30 as I've family plans for the day and if it's raining, there will be shelter under a gazebo. If you have received my invitation (or maybe not) and are curious, please come down and see me, I am real bread mad, slightly bonkers and I don't bite. I expect you to do all the biting... into my bread.